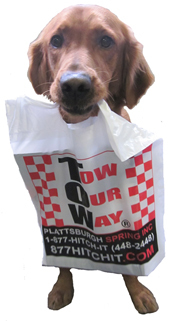 Let us help you with all of your towing and suspension needs! Enter Year, Make & Model - See your results! The Hitch Selector provides you with information about the right hitch and wiring for your vehicle! We are a Draw-Tite and Hidden Hitch distributor offering Trailer Hitches, Hitch Covers, Brake Controls, Electrical Wiring, Weight Distribution Parts, Fifth Wheel Hitches, Gooseneck Hitches, ATV Hitches and accessories, Cargo Management, Trailer Accessories, Vehicle Accessories, and much more! We also offer a variety of Novelty Items and Towing Accessories such as the Speed Freak Series, Deer Whistles, Backrack Products, and Code 3 lights.